First thing this morning with the last few wisps of morning mist hanging in the air I walked my daughter to her Saturday morning recreational gymnastics session. The walk back from the session seemed as good a time as any to shoot my 8 frames for of the Emulsive Half-Baked Half-Frame Tour. Mr Emulsive – or whatever his real name is (he won’t tell me; suspicious or what?!) 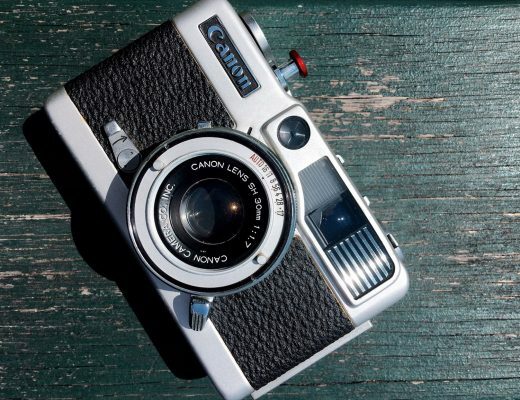 – recently made the decision (with the help from his readers) to send a camera on it’s travels. As a fan of traveling cameras, I was well up for getting involved. 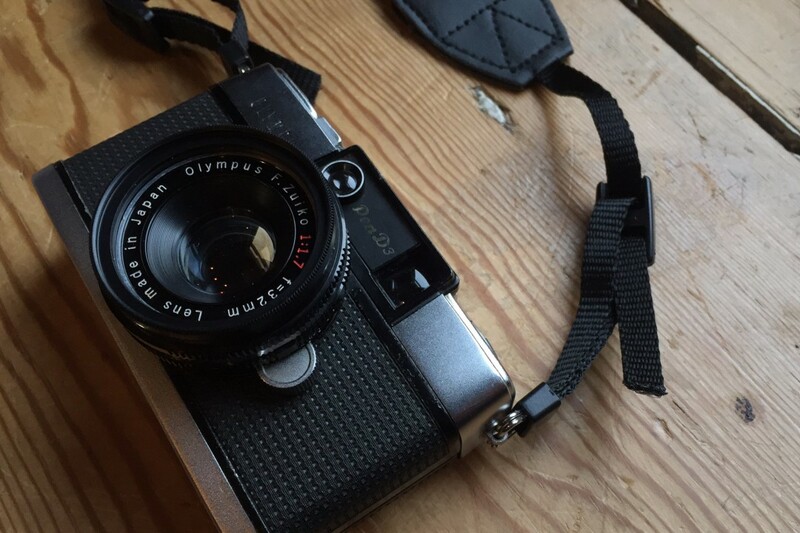 He quite wisely (it would now appear to me) chose to send an half frame Olympus Pen D3. The idea being that the camera would go to 9 people who would each shoot 8 frames before passing it on to the next person. 9×8=72, which is around the amount of frames you get from a roll of 35mm with a half frame camera. What I didn’t expect was to be nominated to be the first in line to shoot with the thing… Pressure! I’ve not shot with a Pen camera of any type before. Not only that, but I’ve also not shot with a half frame camera for I think at least 5 years… and I had to shoot my first 8 shots within a theme. All of these things wouldn’t be a problem if I could have spent some time acquainting myself with the camera, but I couldn’t, it came preloaded with film. It never occurred to me that any of this would phase me until the camera landed. Habits die hard, and my usual habit with a camera I’ve not used before is to poke around it, take a load of shots without a film in, get a sense of how it feels. Without being able to do that, I felt all a wobble with the thing. That said, a few days of staring at it, and would you believe, flicking through the manual, and I was happy I wasn’t going to balls it up. So this morning, somewhat confident all was going to be ok, I went out to take my shots. The theme is urban (de)generation. Fortunately for me, I live close to (and in fact walk past when I take Connie to the Gymnasium) some wonderful old Victorian buildings. I think some, or perhaps all of them were originally part of the Royal Worcester Porcelain factory. The factory itself is now little more than a museum from what I know, but the buildings remain and are being turned into housing and offices. Some of these buildings, along with a run down part of the local ‘King’s School’ seemed as good a subject as any. I mentioned that I now realise the choice of Pen D3 was a wise one. This was a fact that became apparent as soon as I started using it. These cameras are lovely little things. Obviously small, since they are half frame, but they also have a nice solid feeling to them. Focusing is achieved with a small knob that rotates around the lens, there is no focusing aid and no depth of field marks. The only thing that guides focusing is the distance marks. When the time comes to take a photo, the press of the shutter button is ever so slight, and the noise the leaf shutter makes incredibly quiet. Looking through the viewfinder isn’t quite as luxurious experience though; it’s quite small, though admittedly quite bright! There will always be a compromises here and there with such a small camera. This ones seem to be in the lack of focusing aid and small viewfinder. But since it’s so small and apparently well made, I think it can be forgiven. Of course, since I have to pass the camera on before shooting a full roll, I’ve nothing to report about the lens. 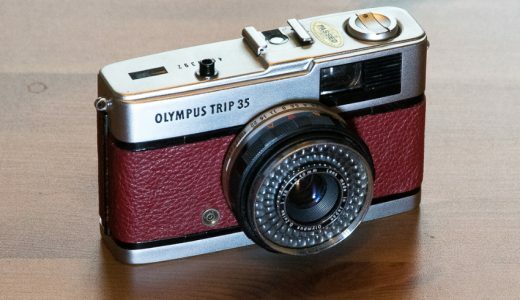 Though since it’s an Olympus, my hopes are quite high! So that’s that, first shots, shot. It now must leave me and travel to its next “Steward”, Jonas in Sweden. If your interested in keeping up with this cameras travels, there’s a hashtag #travelhalf being used on Twitter, and knowing a few of the other “Stewards” involved, I’m sure there will be plenty said! Godspeed you black (and silver) camera! I’m just looking forward to seeing the final outcome now! Will be interesting to follow this. 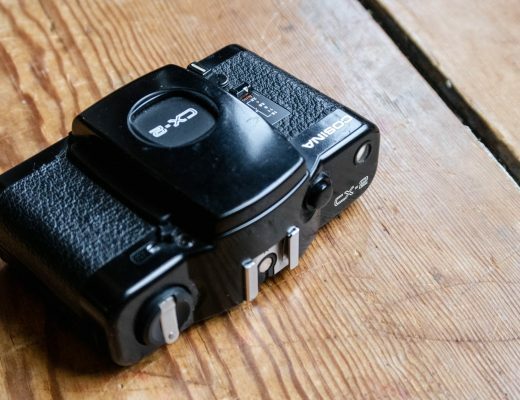 Have never shot a half frame camera, but once had an Olympus Trip that I quite liked. The viewfinder looks a bit odd. Does the camera shoot vertical frames when held horizontally?